Flies—household pests, waste decomposers, and notorious disease carriers—annoy, disgust, and sicken us. But now that they have yielded their genome to scientific investigation, they may start to do us real good. In particular, the fly genome may enhance our understanding of pathogen immunity. Unsurprisingly, given their ability to thrive in dung heaps and garbage piles, flies have a genome that is bristling with immune system genes. Flies, then, may have much to teach us about genetic adaptations to high pathogen loads. 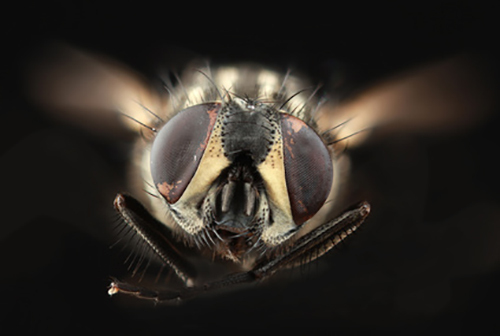 The genome of the housefly, Musca domestica, was sequenced and analyzed by an international team of researchers, as detailed in an article published October 14 in the journal Genome Biology. The article, entitled, “Genome of the house fly, Musca domestica L., a global vector of diseases with adaptations to a septic environment,” noted that the sequenced genome is 691 Mb and contains 15,345 genes. According to the article’s lead author, Jeffrey G. Scott, Ph.D., a professor of entomology at Cornell University, “Houseflies have a lot more of these [detoxification-related] enzymes than would be expected based on other insects they are related to.” He added that the housefly’s close relative, Glossina morsitans (tsetse fly), has half as many cytochrome P450s. These enzymes are more ancient than insecticides. “We don't have a clear handle on why houseflies need so many,” Dr. Scott admitted. The housefly has been a model system for studies of insect olfaction, the authors continued, and (Z)-9-tricosene plays an important role in intersex communication and mate selection in houseflies. New attractants would be valuable for baits in management systems, and could lead to a reduction in insecticide use for housefly control. Further analysis of the fly genome could provide insights into mechanisms of insecticide resistance and lead to new methods of directly eliminating houseflies, which carry and transmit more than 100 human and animal diseases including salmonellosis, anthrax, typhoid fever, tuberculosis, cholera, and diarrhea as well as parasites such as pinworms, roundworms, hookworms, and tapeworms. One possibility, noted Dr. Scott, would be to develop new toxins that disrupt the fly’s internal balance or to use RNAi to turn off specific genes, interfering with the transcriptional buzz of these disease carriers, killing them outright.